Local band Poppermost won the first Las Vegas Springs Preserve YouTube Video Clip Contest. Band members Alex Oliver and Roy Rendahl combined "the energetic and hurried Strip activity and the serenity of the Las Vegas Springs Preserve" to capture two different sides of Las Vegas. The group won a Flip video camera, six general admission tickets to Springs Preserve, a $75 voucher for the Springs Cafe by Wolfgang Puck and an award certificate. To view the video, visit www.youtube.com/watch?v= 8a5zppQof0k. For more information about the band, visit poppermost.com. Poppermost knows how to dominate the lasvegasweekly.com most downloaded charts. Listen to the band's new tracks "Family Christmas Tree," "Christine Purple Star," and "Liv Says," and see how they compare to past chart-toppers. The classic parental torture method “go to your room” is meant to inflict annoyance and life lessons onto misbehaving children, and it’s a punishment Alex Oliver admits he was familiar with growing up. However, for him the chastising might have sparked more than just good manners. That “something” is Poppermost, which Oliver categorizes as a “creative musical and visual co-op” rather than simply a band. Consisting of Oliver and his musical partner Roy Al Rendahl, the project is designed to combine music with educational live-action and cartoon videos – though only the former has come fully into fruition. “I envision it as sort of a combination of Sesame Street and The Monkees,” Oliver explains. If the concept seems too Schoolhouse Rock, the music itself isn't. There are no songs following the process of a bill on Capitol Hill. Instead, Poppermost is classic sunshine pop music, which often pulls inspiration from bands like The Mamas and the Papas. Oliver believes teaching kids the history of rock ‘n’ roll can be just as beneficial as teaching them trigonometry. He wants to help children embrace their creativity. After all, he’s seen the positive influence music can have. He’s lived it. He credits his public school music classes and his mother for fostering his love for The Beatles with keeping him from a beaten path. He worries about the effects of budget cuts on state education systems. Poppermost is Alex Oliver (right) and Roy Al Rendhal. To spread their message of enlightenment, Poppermost opts to skip live performances altogether. Instead the band focuses on trying to create a strong web presence. They believe they've succeeded. The band regularly makes it onto the Weekly's most downloaded charts. A yearlong contest that began in 2008 asked fans to submit short essays on topics, with the winners receiving a song written by Poppermost. It received more entries than expected. The winning songs will collectively form Poppermost’s next album, By Your Inspiration, due out early 2010. When it does come out, the band won’t promote with local shows. They’ll move on to the next song, the next vision. Poppermost is one of the finest indy bands that I've heard in a very long time. The songs are well crafted and the recordings are excellent. I think everyone needs a little Poppermost in their music collection. Correction...you need a LOT of Poppermost!! They work so hard, and some of the best people I have met in my life! I am so happy for Alex and everybody. I get excited every time I see Poppermost in the Las Vegas Weekly! Poppermost has consistently topped the Weekly's most-downloaded-songs chart, all without having a single live performance. We caught up with the elusive duo to find out what the fuss over this Muppets-meets-Monkees group is about. Read more and hear their sound online. Poppermost certainly isn’t short on delusions of grandeur. The band calls its music “one gigantic mass [encompassing] pop, rock, country, soul and classical” in the liner notes of its third LP, Bitter Suite Swan Songs. But the group’s ambition often exceeds its stylistic capabilities. “Bitter Suite,” the album’s two-part title track, briefly achieves anthemic bliss before collapsing under the weight of heavy-handed lyrics (“I lock my feelings in a jar until they go away”) and tinny Weird Al-esque keyboards. “I Will Begin” starts derivatively — with an a cappella intro à la Queen’s “Bohemian Rhapsody” — and continues with a set of both clichéd power chords and unoriginal lyrics (“Everybody wants to win/Instead we’re all set up to lose”). Ugh. When Poppermost stays within its reach, however, the results are more pleasant. “Concentrate” achieves a breezy, summer-barbecue vibe reminiscent of the Foo Fighters’ “Big Me,” while “Kristen” — a short ditty about a town’s resident gossip — exudes genuine energy. My advice? Start from a seed, boys, and the ambition will grow out later. And lyrically? So much of what I hear in the Top 40 are songs and artists competing for "Best-Rhymed-Inanity-Sounding-Most-Like-Whichever-Other-Current-Teen-Idol-On-The-Charts." Not so with "Bitter Suite". Alex Oliver's verse from "Swan" makes the point best: " Is your reflection just reflections / Of the way that you'd like to be? / Or is it just another picture / Of the damaged goods you see?" 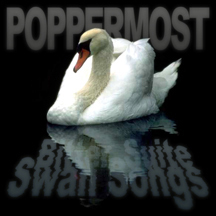 Poppermost's Bitter Suite Swan Songs is original art...Not an ugly duck in the lot. Posted by: jackie_robi on 9/7/08 at 12:12 a.m. I have to agree with Jackie from Stavros Entertainment. This is music that goes right to your soul and stays. Just like Comfort food but better for you! I am so looking forward to the next poetic masterpiece from Poppermost. Posted by: ZEISSCONTAX on 9/7/08 at 9:44 a.m.
Hmm... I must join Jackie in noting the solid, interesting and compelling music that is Poppermost. Alex Oliver has dazzled audiences since the late 1990s with his musical chops. His music excursions on this album and his previous work have blended genres in a musical stew that dazzles the listeners’ senses. Poppermost is very contemporary and yet reminds one of what music has should... it's clear, concise and to the point. Bitter Suite is highly recommended! Posted by: rdelgadillo on 9/7/08 at 1:48 p.m. I love this album so much! Poppermost has always been known for great melodies and this album is no exception. In fact, I think this is their best album to date. Alex and Roy have released a brilliantly written, performed, produced and recorded master work. Stand-out tracks for me are "Isabella Vina," with it's stunning guitar work and Beach Boys inspired sound as well as "I Will Begin" which has some of the best vocals I've heard so far on a Poppermost CD. There's also "Concentrate On Me," which is a portable party you can take with you anywhere. I honestly don't think there's a weak track on this album. 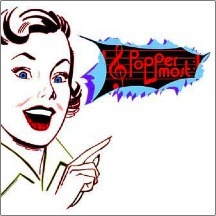 If you've never heard Poppermost before, this CD will make you a die-hard addict!! Posted by: Pattie on 9/7/08 at 4:59 p.m.
Poppermost has a very honest sound, (kinda hard to describe what that means), but it just grabs you, and makes you "feel." Bitter Suite is very well done, and a winner. Nice!! Posted by: DavePDef on 9/7/08 at 9:34 p.m. I've heard a lot of different things about Poppermost over the course of time, but this review took me by surprise. Misinterpreting lyrics and misquoting liner notes notwithstanding, everyone is entitled to their opinion. I for one am certainly glad I agree with the comments posted here instead of the review itself. Great job Poppermost. You continue to rock my world on a daily basis! Posted by: debbiedoozies on 9/9/08 at 8:29 p.m. I listen to different Top 40 music stations and I also listen to struggling singer songwriters and bands. If you listen to the choruses to "Damage" by Danity Kane and "Dangerous" by Kardinal Offishall (both on the charts right now) you can hear derivative. In my opinion, the song that you mention, "I Will Begin," is derivative only because Poppermost is paying homage to Queen, one of the greatest bands in the world. And nowhere in the album did I hear "tinny" keyboards, as you said for the song "Bitter Suite." This album is not just one sound, it is very eclectic, unlike some other artist's albums. The album as a whole is well produced, well put together, and has great musicianship. I was impressed with it. I would give it 9 out of 10. Thank you. Posted by: FantasyCat on 9/9/08 at 9:26 p.m.
"Poppermost certainly isn’t short on delusions of grandeur"??? I will wait while you get a Q-Tip. I have been a fan of Poppermost for several years and often pondered the reasons they have not signed with a major record label. Poppermost takes you to a place and time when music was music, rather than trying to be a bunch of teeny boppers all tweezing pubic hairs to hit notes to sound like the next tone deaf "STARRA." And lyrically? Brilliantly written! Posted by: Mzfrogiestyle on 9/10/08 at 9:41 a.m.
"Poppermost uniqueness sets them apart from other bands. From your fans - Please don't change for anyone." Posted by: rangreen on 9/14/08 at 8:06 a.m. I'm looking down the barrel of a five-hour drive, but I'm armed with the new CD Bitter Suite Swan Songs from the pop band Poppermost. Never heard of Poppermost? Well then, give yourself a smack on the forehead and come with me. Poppermost is the songwriting duo Alex Oliver and Roy Al Rendahl. I have followed and enjoyed their career for a few years, but Bitter Suite is like nothing they have ever done. I listen to it three times during my five-hour drive, and I keep shaking my head and smiling. Melody. Relentless melody that just takes you apart. Vocal harmony to send shivers down your back. Lyrics that combine a disarming innocence with ruthless candor. My favorite track is "Down," a song that, without irony, lets us remember the way love draws us like a moth to the flame, illuminating everything, then tearing us limb from limb: "Love can be as trivial just like a matchbox / Left beside somebody's birthday cake / And love can pierce the soul just like an arrow / If it feels at odds with your mistakes." I opened my e-mail this morning to find yet another story about Britney Spears. This time she has been busted lip syncing. The fans boo. Actually, the only thing that surprises me about the story is there remains any appreciable number of "music fans" in America who understand such things ought to be booed. Unfortunately for her, Britney has become, for me, an icon of sorts, and not the sort of icon you'd want to be. She represents for me all that is false and empty about the modern music industry. She's not a musician. She's not a writer. Her singing voice, reasonably ordinary to begin with, is poured through multiple filters and compressors. Maybe it's a person. But maybe it's an android escaped from a Stanley Kubrick film. Britney herself brought two special gifts to the table to place before the gods of entertainment whimsy in America. She can dance. Oh my, she can dance. The bulk of her training as a child was in gymnastics and dance. And she has a compelling navel. Mostly I'm just sad for her. I'm going on record right now. You'll never see "Britney Unplugged" on VH1, and, 50 years from now, nostalgic, aging music fans will not be buying boxed set anthologies of Britney Spears. Never gonna happen. Actually, I blame the soulless state of the modern music industry on The Monkees. That's where it all began. In the wake of the peerless Beatles, the British Invasion sent great pop act after great pop act to America. ABC and Colgem Records had a brainchild: Why wait for the emergence of a great American band when we can invent one? The casting call yielded Mike, Davey, Peter and Mickey. They hired stud songwriters such as Carole King and Neil Diamond. Ripped off the format from the movie A Hard Day's Night. One audience of eager Monkee fans couldn't wait, so they booed the warm-up act off the stage. Guy named Jimi Hendrix. If you were part of that audience, I urge you to go to rock 'n' roll confession and clear your conscience. Used to be the fundamental job of a disc jockey was not to cue records and make happy talk, but to listen to listeners. They spent off-air time combing coffeehouses, bars, street corners, small theaters, international news services, always on the lookout for brilliance, talent, poetry. They looked for great songwriters. Today, disc jockeys play what they are told to play. Guys in suits gather in boardrooms and decide what you and I are going to like next. ... we'd never know. Because he'd never stand a chance. The reason you've never heard of Poppermost is because it isn't famous. I only know the band because I hang out in bars at open mic nights and listen to gutsy, courageous, sometimes gifted, sometimes not-so-gifted nobodies (like me) play and sing original music in smoky rooms for an audience of mostly other songwriters. I listen to Alex and Roy not just because I like them, but because they are real. Authentic. Loaded with talent. Their craft matters to them. They risk themselves. I don't buy Britney Spears records for the same reason I will never buy an artificial Christmas tree. Steven Kalas is a behavioral health consultant and counselor at Clear View Counseling and Wellness Center in Las Vegas. His columns appear on Tuesdays and Sundays. Questions for the Asking Human Matters column or comments can be e-mailed to skalas@reviewjournal.com. Not many R&B bands cite The Clash and Barbra Streisand as influences, and true to form, Poppermost isn't an obvious fit for this category: It certainly won't be confused with Pretty Ricky, and for this, we are eternally grateful. But while not a straight-up R&B act in the traditional sense of the term, these hot-blooded rockers do possess a bit more soul than many of their peers, which manifests itself in a slick, steady groove. They've been described as the "anti-Hootie fronting The Who," and thankfully, the band's way more Live At Leeds than Cracked Rear View. finds fodder for songs in his day job as a Denny's restaurant host. 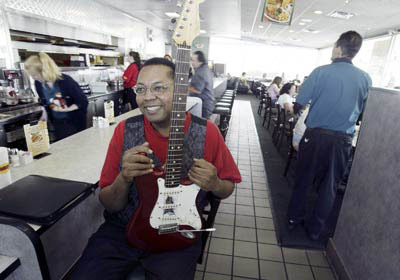 By day, Alex Oliver is host at Denny's restaurant on Las Vegas Boulevard South, near the Stratosphere. Away from Denny's, Oliver is lead singer, songwriter and guitarist for Poppermost, a local pop-rock band that he formed in 2001 with drummer Phil Kaz and bassist Roy Al Rendahl. He's also founder and owner of Suicide Pop! Records, producing the band's compact discs with the technical assistance of Rendahl. Poppermost's latest recording, Absolutely Sonic, released in 2004, is a collection of 12 songs that draw upon Oliver's experiences at Denny's. "A lot of these people are my seeds of inspiration," Oliver said during an interview at Denny's, where he drank chocolate milk, munched on the sampler plate and chatted with co-workers. "They were the topics in the new album. Each of those songs on there was written about someone in here, their strange habits. It's easier to write about me if I see what they're doing and what they're up to." Born and raised in Los Angeles, Oliver came to Las Vegas in 1998 for a "change of scenery," to visit his brother and take a vacation. He'd played in several bands in L.A., took music classes at L.A. City College that he found boring, earned a degree in psychology at the University of California, Los Angeles, and taught for two years in the Los Angeles Unified School District. "I just got tired of teaching. It burns you out relatively quickly. You work with kids and parents who don't know how to raise them because they're kids themselves," he said. It was the peak of summer when Oliver came to Las Vegas, 115 degrees outside, and he found that he really liked it. "It wasn't Los Angeles. I was also a musician in Los Angeles, but people don't take it seriously, even though the industry is out there," he said. Poppermost takes its name from a term the Beatles coined in their quest to become "the toppermost of the poppermost." The band has produced two CD singles and its self-titled, first full-length CD, Poppermost. The band's Web site is www.poppermost.com. Question: You're a singer, songwriter, musician and producer. Which do you do best? Answer: I would have to say songwriter. Question: What's your favorite of the songs you've written and why? Answer: My favorite all-time song, on our first CD, is called "Lady in Waiting." That's probably my favorite. I wrote it for my mom while she was sick (with cancer) and she passed away before she could hear it. You can tell on the recording that's my favorite. I worked hard on the guitar and vocals. I just really wanted to capture that feeling of her not going to be around much longer. There was so much she wanted to do. Being a nurse and a mom and a student, it took up so much of her time. Question: How much does it cost to produce an album? Answer: Poppermost is very fortunate in that Roy, our bassist, sound engineer and technical wizard, has his own Trimordial Studio. Because he and I are the band's chief architects, he fronts the band studio time. After we've finished recording, he calculates time spent in his studio and is paid accordingly. With Absolutely Sonic, we recorded 35 songs and mixed 15 of those for release at a low cost of about $2,000. CD sales paid for the studio time about three months after its initial release, thanks to our faithful homegrown fan base, a growing European fan base and Internet radio. Question: What do you like least about the music business? Answer: Performing. I've been doing it since I was 20. I'm 36 now. My knees are starting to give out. There's only so many times I can fall off the stage and let the music take me over. I'm not Iggy Pop. Question: What do you like most about the business? Answer: When I write music and record. I can pretend to be any of my heroes. I can pretend to be the Beatles or Led Zeppelin or Sly Stone. I think that's the reason I got started. When I was a kid, I got a guitar and pretended to be the star of the moment, like Pete Townshend and smash my guitar. Question: What's the worst job you've ever had? Answer: I was a teacher in Los Angeles. As a teacher, we were told there's a certain percentage of kids who just won't make it and we were told to pass them along, just get them through (school). It's unfortunate. We're rated No. 46 in education in the whole world and we're the richest country. Question: What are some advantages and disadvantages of producing your music on an independent recording label? Answer: The big disadvantage is you don't have a lot of money to promote yourself. You have to be extremely creative in promoting your music and your band. If I was independently wealthy, I'd have plenty of ways to get my songs on the radio. One big advantage is I can do whatever the hell I want. I don't have to follow industry standards. If I want to put out one song, I can. If I want to put out 12 songs, I can. Question: How tough is to get exposure as an independent label? Answer: The Internet makes it very easy, but you're put in there with a lot of other independent labels, so you just keep plugging away and make sure your music connects with people. So we've actually had more exposure through the Internet than in Las Vegas. We've been played a lot more. Once we put stuff on the Internet, people actually started buying our songs. Question: What are your musical influences? Answer: First off, the Beatles, the (Rolling) Stones, the Who. In their day, they were musically the best and they were the best performers. The thing that pushed me is songwriting and nobody comes close to the Beatles. They were the best songwriters and their music touched on everything: rock, folk, R&B, even Indian music. Question: Do you still have hope of making it big? If so, what will it take? Answer: There's being big and there's being successful. To be big, you've got to be in your late teens and early 20s and have sexual appeal. A lot of bands look really good, but their music is suspect. Then there's those bands you never see what they look like, but their music really gets you going. Like Steely Dan. People caught on to their music rather than the image of those guys. If you want to be big, look like a rock star. If you want to be successful, write great songs. Question: How are you able to balance your music and your recording business? Answer: Being schizophrenic. There's part of the day where I'm creative and I love that. Then there's part of the day where you shut that out and become a businessman. If you don't take care of the business of music, the business will take care of you. You have copyrights, so if anybody wants to use our music, unless you have a claim on your work, there's no way to get paid for your work and make sure you actually did it. There are too many robber barons out there. 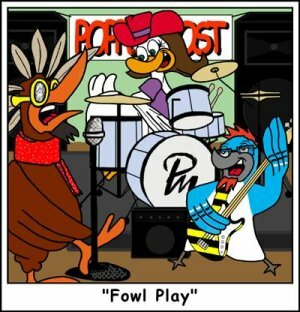 Local pop-rock trio Poppermost return with their second full-length release, a fun collection of garage-style rock that's reminiscent of Oasis and the poppier moments of bands like Jet and the Hives. Some of the arrangements could be a little tighter, but songs like the energetic "Catch Me If I Fall" and the Southern-flavored "Bang Bang" are catchy, infectious good times. An San Sister City Park, 7801 Ducharme Ave., kicked off a free series of concerts recently with the Tony Marques Band. The event also featured activities for children, such as a visit from the Mad Science Program. The series continues with a concert by Poppermost on June 25, Ponder on July 2, and Jim Moore and the Animal Band on July 15. The shows run from 7 to 9 p.m. The songwriting is solid, the instruments are played well, and the vocals are definitely on (key). Credit that all to the respective members of Poppermost's musical maturity. These guys have been around the musical world for a while, and it's evident. The track "This Time Tomorrow" had some toe-tappin' appeal. Give that one a spin for sure. Poppermost: With an acoustic pop sound reminiscent of classic '60s rock, Poppermost don't sound like your typical Vegas act, and they don't act like it, either. You're just as likely to catch them at Downtown landmark the Iowa Café as at a typical local rock club. On its self-titled debut, Poppermost pops on through pleasant, pure, and psychedelic musical licks. This newly formed band consists of singer/songwriter, guitarist and pianist Alex Oliver and Roy Al Rendahl, who plays bass. The album's sound could be best described as a mix of the '60s band America, a little bit of the feel-good band Phish, and the unassuming charm of Elvis Costello. The easy groove of the acoustics matched with harmonizing vocals takes you to a different time and place. The disc opens with the upbeat and quirky "Bang Bang." Oliver's distorted voice is reminiscent of Social Distortion's Mike Ness, and the song even has that great rockabilly vibe. This is one track that demands repeated play because of its infectious rhythm and lyrics. Poppermost not only offers up happy upbeat songs but lays down some serious tracks that give the album substance. With "Lady-In-Waiting," about a young woman's lost battle with cancer, Poppermost delivers a beautifully sad song. This new band and its new album are worth lighting the incense, clearing the mind, and letting the music take you on a magic carpet ride. Alex Oliver and Roy Al Rendahl are two halves of the local alternative band Poppermost. Their name comes from The Beatles, who said they'd be going "to the toppermost of the poppermost." Performing in restaurants, nightclubs, bars and bookstores, Oliver and Rendahl have a ways to go to get to the top. But the musical duo is determined to have fun on the way. According to Oliver's wife Debbie, both Poppermost band members are multi-talented renaissance men. Rendahl is trained as a mechanical machine design engineer. He actually holds a patent on a fancy hinge he designed for a previous employer. In addition to engineering, he works as a fine and graphic artist, and as a recording studio technician. The artist has three mixed-media pieces and several photographs on exhibit in the Cirque du Soleil corporate offices. In Fresno, Calif., he designed a ceramic tile roadside mural that was eventually built by schoolchildren. Oliver has ties to schoolchildren, as well -- he taught elementary school, junior high and high school in Los Angeles. The singer still explores teaching when the band volunteers at the Snyder Unit of the Boys & Girls Club of Las Vegas. "After a couple of times over there, they would actually sing our songs with us," Oliver said. Then we'd play little things for them like the theme song from 'Scooby Doo.' They really seemed to like that. There's a lot of kids there who are aspiring singers. They want to grow up to be the next Brittany Spears." Poppermost began with another band, which the Olivers and Rendahl insist remain nameless. "We were the only two communicating musically, so we left that band behind. They found people to replace us, but they were ultimately fired at knife-point by the drummer's wife," Oliver said. "Allegedly," Debbie Oliver added. "We heard it second-hand. They got out just in time." Performing without their former bandmates is challenging. When they play live, the duo is just bass and acoustic guitar, punctuated by Oliver's voice. But when they record, the sound captured in Rendahl's home music lab is easily mistaken for a whole band. "Alex can play the whole percussion set on the keyboard with his fingers like he's playing a piano," Rendahl said. "We've been looking for other singers and musicians to make a full band, but we decided we couldn't find anybody who fit, so we just finished our CD and now that that's done, we're looking for musicians again," Oliver said. The band would like to add a drummer, a second guitarist and another vocalist or two to add harmonies and contribute to the songwriting. "But they need someone to come in who can carry their own weight. These two do so much that if someone came in and couldn't keep up, they'd be miserable," Debbie Oliver said. Oliver knows the meaning of musical misery. As a young black man growing up in a predominantly black and Latino South Central Los Angeles school, he was frequently teased about the poster of The Who's Pete Townshend hanging in his locker. "My first guitar, when I was three years old, I smashed just like Pete Townshend," he said. "My mother took one look at it and said, 'There's only 364 more days 'till next Christmas. You're not getting another guitar until then.' "
Oliver always has loved pop music. He's just grateful none of his friends knew about his love for Barbra Streisand. Poppermost can be heard Friday at the Iowa Cafe, 300 E. Charleston Blvd., #101, from 7 to 10 p.m.; and Oct. 12 at the grand opening celebration of the Summerlin Borders Books Music & Cafe, 10950 W. Charleston Blvd., from 1 to 3 p.m.
At Iowa Cafe today, a local, alternative-light-pop band, Poppermost, throws its first CD-release party to celebrate the groups's self-titled album on independent label Suicide Pop! Records. If you're one of those annoying people who always complains that there's not a big enough platform for Vegas-based bands, well, here's your chance to toss a little support to the way of a decent, eclectic Vegas act. The shindig runs from 6:30 to 8 p.m. at the cafe, 300 E. Charleston Blvd. Ted Geisel, aka Dr. Suess, wrote a book called The 500 Hats of Bartholomew Cubbins. It's a story about a little boy who has a seemingly unlimited supply of hats. Every time he removes a hat from his head, a new, bigger, fancier hat appears in its place. This proves problematic when the king orders his head chopped off for not removing his hat in his presence, because one can't be executed with a hat on one's head. CityLife and assumingly other individuals and news outlets around the valley had a similar experience lately. A local band, Poppermost, is having a release party for their self-titled debut effort. To spread the word, they mailed out postcard invitations to each editor at CityLife. And then another. And then another. Then another. In fact, it seemed as though the moment we would throw one in the trash bin, two more would appear in the mailbox. So there's one thing that can be said about them before even hearing their music: You've gotta give the Pops props for promo. Poppermost will celebrate the release of their first full-length CD from 6:30 until 8:00 p.m. at the Iowa Cafe, 300 E Charleston Blvd. Admission: free. Info 366-1882.